Teddy Bear Baby Shower Favors and Diaper Cake! 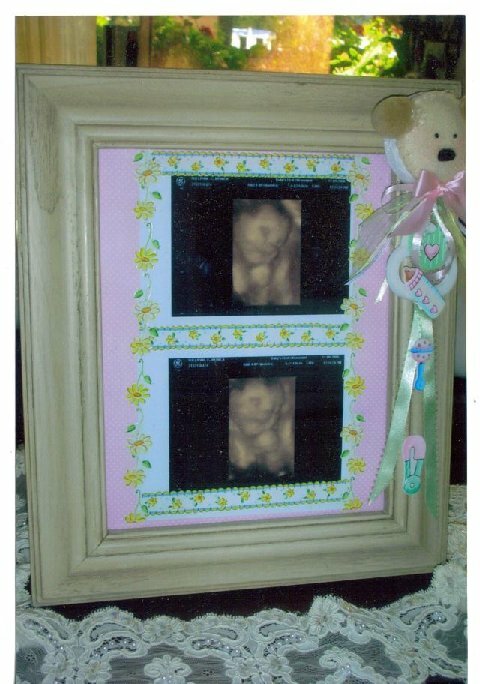 These Teddy Bear baby shower favors, diaper cake, and ultrasound picture frame are so creative! You gotta see the photos below. Artemisia, one of our readers, has created another adorable diaper cake. 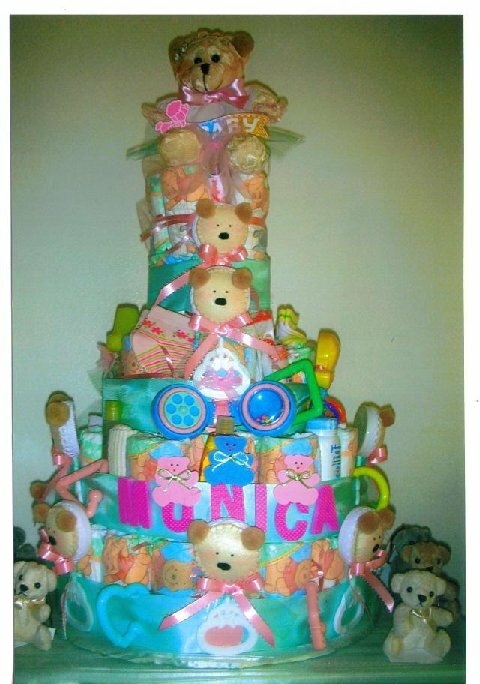 Her first diaper cake (a Noah's ark theme) has gotten some grateful compliments and has inspired a LOT of our readers. And she has submitted another colorful, clever cake WITH matching baby shower favors that she made and a cute handmade baby shower gift. Talk about a one-of-a-kind baby shower! Just by looking at her teddy bear baby diaper cake, shower favors and ultrasound picture frame below, Artemisia doesn't do anything half-hearted. She puts her whole heart and soul into her creations and it is beautiful to look at her results! She is an amazing example of one of our readers who is "paying it forward" with inspiring and motivating baby shower ideas. We LOVE her ideas and we are so grateful to her for sharing them with all of us. Thank you, Artemisia, for your creativity, your ideas and your photos! They are wonderful!! I made this diaper cake to be the centerpiece at a baby shower for my friend. I made it with 82 diapers, cardboard, ribbon, and felt for the teddy bears. Thecenterpiece also contains wash clothes, baby lotion,baby blanket and socks. The teddy bears favors goes with the cake. Artemisia, I am absolutely certain that your friend must have been stunned when she saw your cake, favors and ultrasound picture frame. They're all amazing!! 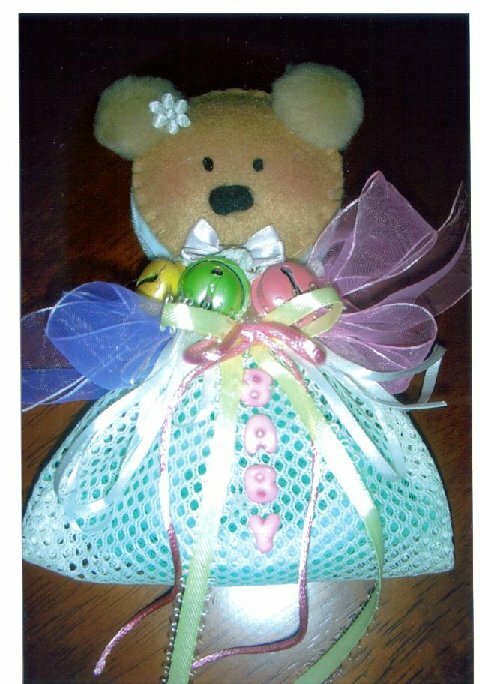 If you were inspired by Artemisia's Teddy Bear Baby Shower Favors, her Diaper Cake and ultrasound gift, then take a look at our Picture Gallery for some more great ideas! Looking to make your own diaper cake, but don't know how - Just follow these do it yourself diaper cake directions with step-by-step pics!